Ashley and Elizabeth took us through one of their in-home, girlfriends’ wellness retreats. TRILUNA is a wellness company dedicated to creating programs, events and curriculums designed for health that transforms from the inside out. They offer yoga and cooking classes, along with health coaching and event planning. See the full video here. Elizabeth Moore and Ashley Brook James are the founders of Triluna Wellness. They provide wellness coaching and classes for companies and individuals that include nutritional and cooking skills, yoga and stress management. View the full video here. 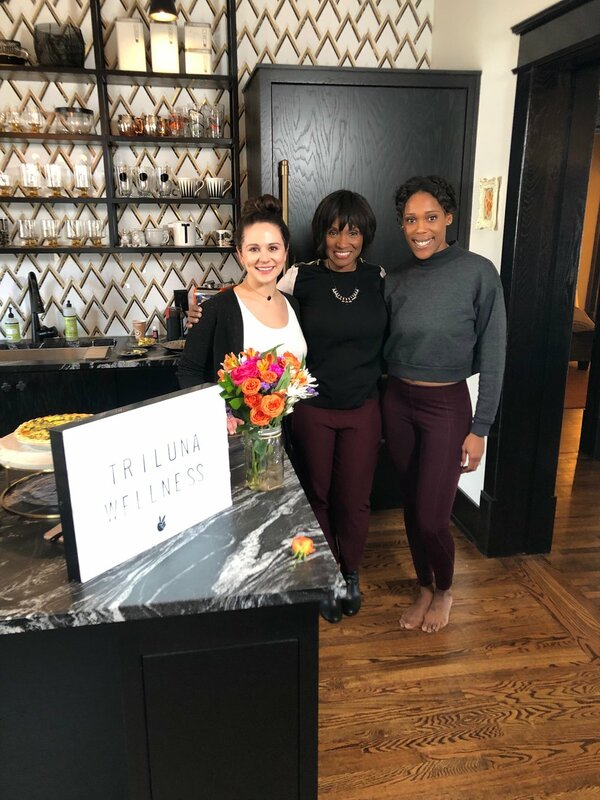 The Top Wellness Trends You Want to Know About for 2019 - “As the women behind TRILUNA, Nashville’s Elizabeth Moore and Ashley Brooke James know a thing or two about wellness, and they say this year, we should see a movement towards individualized experiences.” Read the full article here. A Chat With Elizabeth Moore & Ashley Brooke James, Founders of TRILUNA Wellness. Read the full article here. We got a nice little mention from our friends over at Nashville Fit Magazine under the “New in Nash” section. (And we got to be featured in the same issue as the amazing Kyle Whalum so that's also cool.) See the full issue here.